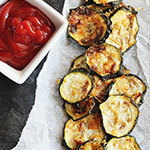 Put down that bag of fat-laden, nutritionally-bankrupt potato chips, and satisfy your craving with these low-carb, lower-calorie, and by far better for you zucchini chips. Just a mere 10 minutes to prepare, you’ll be making these again and again. Zucchini is low in calories – just 17 calories per 100 grams. That might not mean much until you compare it to the not so humble potato, which weighs in at a whopping 77 calories per 100 grams! But why stop there? Instead of deep frying these suckers we oven-fried them. Saving not just your waistline, but your heart. They’re super quick to make. Just 10 minutes in the kitchen and your work is done. Shove them in the oven for 40 minutes or so and you’ve got yourself a savory, crispy and rather healthy treat. Preheat the oven at 175ºC/360º F.
In a bowl, combine the Parmesan cheese, bread crumbs, salt, and a little freshly ground black pepper. Wash the zucchini and slice thinly. Dip zucchini slices a bowl with the olive oil. Coat slices in the grated Parmesan mixture, rubbing in the mixture with your fingers to make sure it sticks and that both sides are coated. 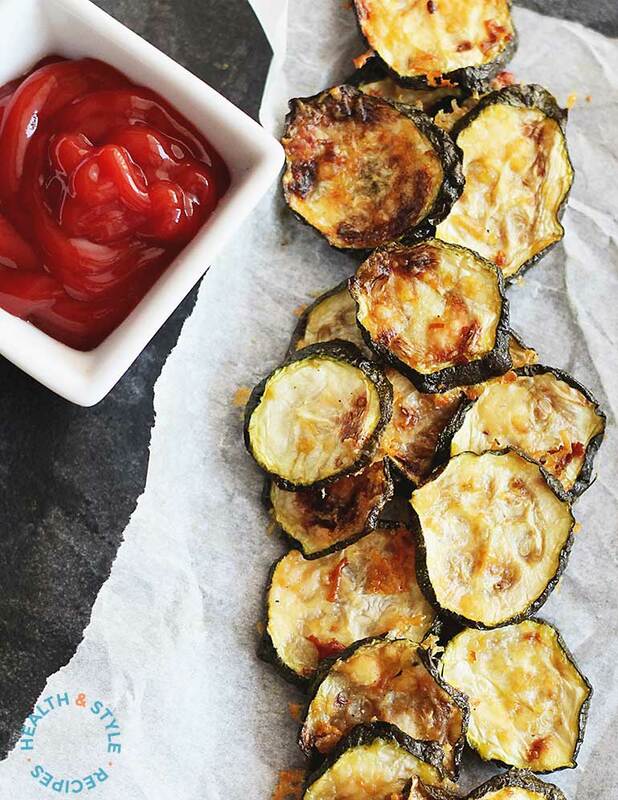 Spread the zucchini slices evenly on a baking sheet. Bake in the oven for 40 minutes or until golden brown and crisp. 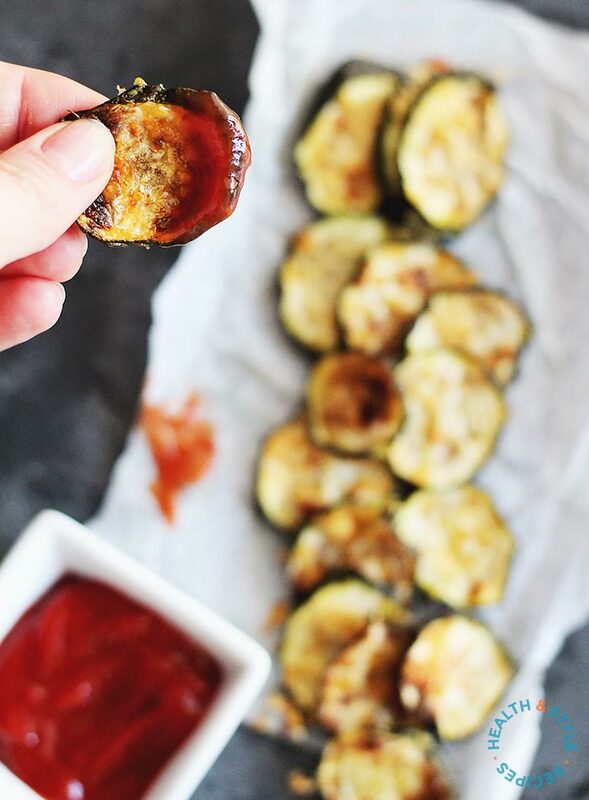 Serve zucchini chips with home made ketchup or herbed yogurt dip.